every 1 inch of brim to your hat = a 10% lower risk of skin cancer to your face! Ditch the baseball cap, look for brims that go all the way around the hat. Bonus many hats now offer added UPF protection, the Ultraviolet Protection Factor (UPF) rating system measures the UV protection provided by fabric. You loose 1% of collagen every year after the age of 30! 30% of your collagen is lost in the first five years after menopause. The skin’s ability to replace damaged collagen diminishes and more gaps and irregularities develop in the mesh of collagen. Estrogen is stored in fat, so dieters will look older & faster if they are being too extreme in the dieting. It is the main structural protein of the various connective tissues it makes up 25% to 35% of the whole-body protein content. Aside from hyaluronic acid production. Hyaluronic acid is naturally found in a multitude of tissues throughout our body such as skin and cartilage, according to the National Institutes of Health. 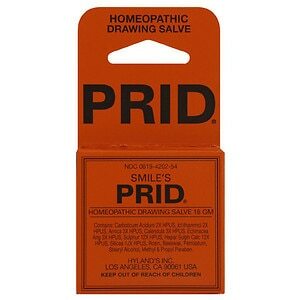 It is needed for wound healing, cartilage and joint functioning, pain management, tissue repair and skin regeneration. Estrogen also affects collagen and elastin levels. And hormonal dips thin the skin, making it less pliable.This process eventually leads to wrinkles. Some causes of collagen are: sun damage, free radicals, some age-related hormonal changes, prescription/illegal drugs and smoking. Peptides, growth factors, and retinols will help rebuild the collagen, but elastin is difficult to replace. When topical applications don’t work any more try lasers, ultrasonic, high frequency and injectable fillers to plump out the padding. It is responsible for elasticity, so skin becomes looser and less flexible over time. Wrinkles happen when the skin becomes looser than the tissue underneath, you’ll start seeing fine lines is around the eyes, where skin is the thinnest. How Stress Affects Your Skin! ♦In studies on mice at Johns Hopkins University and Stanford University, showed stress greatly increased skin cancer formations and weight gain when they were exposed to UV (ultraviolet) light. In another study¹, Yale University, found that people over their lifetime that had more stress than the norm or periods in their life of extreme stress prior to their melanoma diagnosis were more likely to have melanoma than people who did not have high levels of stress. ♦When you are stressed, you tend to break out more. Stress causes your body to produce cortisol and other hormones, which tells your sebaceous (oil) glands to produce more oil than normal. This causes people to be more prone to acne and other skin problems. Cortisol is a powerful steroid which hinders your immune system. All the while increasing your sensitivity to allergens. Researchers at Stanford University examined the severity of acne at a college during the week of final exams. No surprise the more highly stressed a student was by their exams the worse the acne, while the less stressed students acne was minimal. ♦When under stress people have a tendency to frown more which increases the chance of developing frown lines around the mouth. ♦Stress can have negative effects on preexisting skin conditions, such as psoriasis, fever blisters, rosacea, eczema and cold sores. In one study, researchers examined students in three different scenarios: after returning from and during vacation when experiencing less stress and during final exams when experiencing high levels of stress. 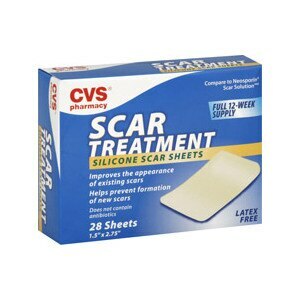 The results were that the skin’s normal functions were compromised, because the skin had become extremely dry and dull. This was caused by the skins outer layer to breakdown due to the lipids (ceramides, free fatty acids, and cholesterol) between those cells dissipation and reduction in size of skin cells. A study from Japan was done on patients with atopic dermatitis (eczema – an itchy inflammation of your skin) they experienced a lessening in their symptoms after watching a funny movie. They were also exposed to the allergens that triggered symptoms and still had a reduction it was hypothesized that the laughter lowered levels of hormones related to stress. ♦Stress in a study by Yale University in 2006, showed that stress slowed down wound healing and inflammation. ♦When people are stressed they tend to be less strident in following their skin care routine, which can aggravate skin problems, thus causing more stress over the skin problem causing a vicious cycle. Habits that form when you’re stressed – such as rubbing, scratching and biting your fingers or lip – increase your chances the chances of injuring the skin. Little Known Airplane Windows UV Fact – Wear That Sunscreen! Airplane windows are not UV (ultraviolet) proof!!!!!! To make matters worse for every 1,000 ft/ 304.8 m UV levels increase by 4%! On an average flight UV rays can be up to 156% stronger than at ground level! in a middle or aisle seat and pull down the shades on the window! Natural Oils as Sun Protection – Is It Snake Oil or The Next New Thing? 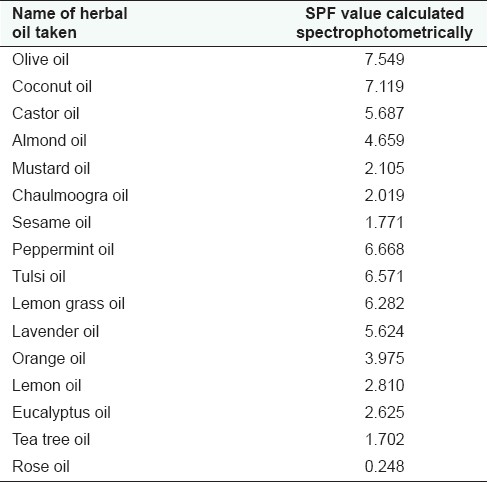 The purpose of the study above was to measure sun protection factor (SPF) of herbal oils that are commonly used in sunscreen formulations using a proposed technique. So the study really can’t be used as evidence of its effectiveness as a sunscreen. If the measured values are accurate then it is plausible that coconut oil could be used as an extremely light sun screen with appropriate usage. However, it should be noted that the measured SPF of 7.119 of coconut oil is significantly below the dermatologist recommended SPF 15 or greater. I prefer at least a SPF of 30 that is listed as full or Broad spectrum. Red raspberry seed oil is said to have an SPF of 28 to 50 and a long shelf life, but it doesn’t appear to have gone through extensive testing to determine whether it’s okay to use it alone as your sunscreen yet. In one study on herbal oils used in cosmetics, scientists found that the SPF range varied from one to eight for the oils tested, with olive oil and coconut oil being the highest of the fixed oils (around eight) and peppermint oil and tulsi oil the highest of the essential oils tested (around seven). Sunscreens are classified as drugs meaning that the active ingredients are on the approved list and have been thoroughly researched and gone through trials to test effectiveness. True because red raspberry seed oil is an expensive ingredient and there are much cheaper options out there companies aren’t going to shell out the big bucks to have the oil properly researched to become an “active” ingredients, so we never know. The internet sites that state the spf of red raspberry seed oil are all based on one study done in 2000. This is only one study and many more studies need to be done before a consensus can be reached. Even with these types of findings, scientists seem hesitant to recommend using natural oils alone as sunscreen and I agree the proof is in the pudding! Though some oils provide protection it is not nearly enough to protect you from UVA or UVB rays nor do we know how the long after applied they are effective. Do they breakdown with sun exposure and if yes how and at what rate? How easily do we wash or sweat them off? 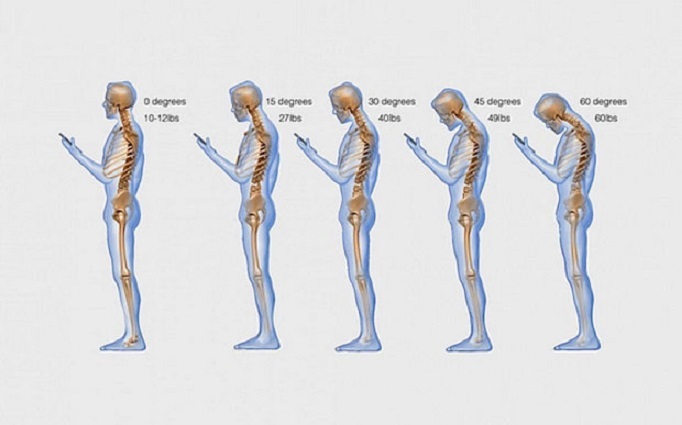 How much do we need to apply due to absorption into the skin? Only using the oils isn’t in my opinion the best idea there’s conflicting information about exactly how much sun protection you’ll actually get, and most reports don’t list a high enough SPF to do much good. The AAD-recommendation for protecting our skin is with a broad-spectrum (UVA/UVB), SPF 30 (blocking 97% of UV rays) product. Antioxidants, like those found in many of the oils, will help protect you against the free radicals that come with UV radiation. The free radical theory of aging (FRTA) states that organisms age because cells accumulate free radical damage over time. For most biological structures, free radical damage is closely associated with oxidative damage. Antioxidants are reducing agents, and limit oxidative damage to biological structures. They could give those natural sunscreens a boost when used in conjunction with them if you check labels many already include them in the formulations. A study in Carcinogenesis compared a control group of hairless mice to mice that were pretreated with olive oil prior to UVB exposure and mice that had olive oil applied after sun exposure. At first, there was a notable difference in tumor growth between the control group and the mice that were pretreated, but over time, that difference decreased. Where the difference was sustained, however, was in the mice that were treated with olive oil after the UVB exposure. In a separate study, researchers tested the effects of using a combination of antioxidants C and E to pigs’ skin. They also tested vitamins E and C separately and found the combination to be superior in offering sun protection, though E and C did offer some sun protection hen used separately. It makes sense to believe that antioxidants found in oils could offer a similar effect for us. There are many organic and vegan sunblocks out there! If chemical sunblocks make you uneasy look for physical sunblocks that contain: Titanium dioxide (TiO2) or Zinc oxide (ZnO)! I hope that this sheds some light on to this subject! Do Clouds Really Protect You From UV Rays? My Must Haves For September! moisturizer, etc. then apply the pad. it smells but it works! Salt Cave Salt Therapy Salt Speleotherapy/Halotherapy! What’s Next for the World of Injectables! New products are constantly being developed, tested and brought to market. Here are the latest offerings that you can expect to see soon. Xeomin: Xeomin works toward the same goal as Botox and Dysport—blocking nerve impulses to the injected muscles—but the difference is in how it is manufactured. New York dermatologist Jennifer MacGregor, MD, explains that Xeomin is void of complex proteins. “Some people make antibodies to the proteins in other neurotoxins. If you’re resistant to the proteins and don’t see much of a benefit, Xeomin may be an option.” It also doesn’t need to be refrigerated like other neurotoxins do. Belotero: The latest FDA approved hyaluronic acid filler to come to market, this one differs from others in that it is more lightweight. Its smoother consistency allows for it to fill in smaller, more superficial lines, like those around the mouth, and thinner-skinned areas such as under the eyes—it won’t give the skin a bluish tint that many other fillers can. It can be used to correct and fill nasolabial folds, too. But, because it is less cross-linked (lightweight), it may not last as long. 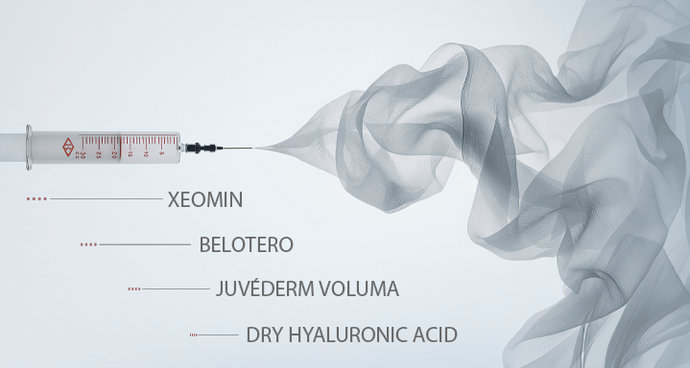 Juvéderm Voluma: The thickest hyaluronic acid to date, Juvéderm Voluma is a short-chain filler that’s highly cross-linked so the hyaluronic acid molecules stick together and last longer. “It allows you to literally pick the face up,” West Palm Beach, FL, dermatologist Kenneth R. Beer, MD explains. While not a line filler, it’s anticipated to be used on the chin, cheekbones, temples and nose to correct volume loss. Know Before You Go: Fillers and injectables may seem to be available almost anywhere, but that doesn’t mean you should go just anywhere to get them. These are cosmetic procedures that need to be performed by a well-trained, educated, medical doctor, like a or plastic surgeon or dermatologist, who specializes in facial anatomy and the effects of aging. “I don’t recommend having them done by a doctor who isn’t familiar with facial anatomy or by anyone at a salon, spa or someone’s house,” says Dr. Beer.